In every business, it’s very important that one is able to manage all of the different operation plans that need to take place. There are many different challenges and opportunities that need to be taken head on and that can only be done effectively if one knows how to do so. you may also see Plan Templates. This means that those who are in charge of knowing what these smart goals and challenges are will need to come up with a way to outline everything that needs to happen in order to properly handle them. 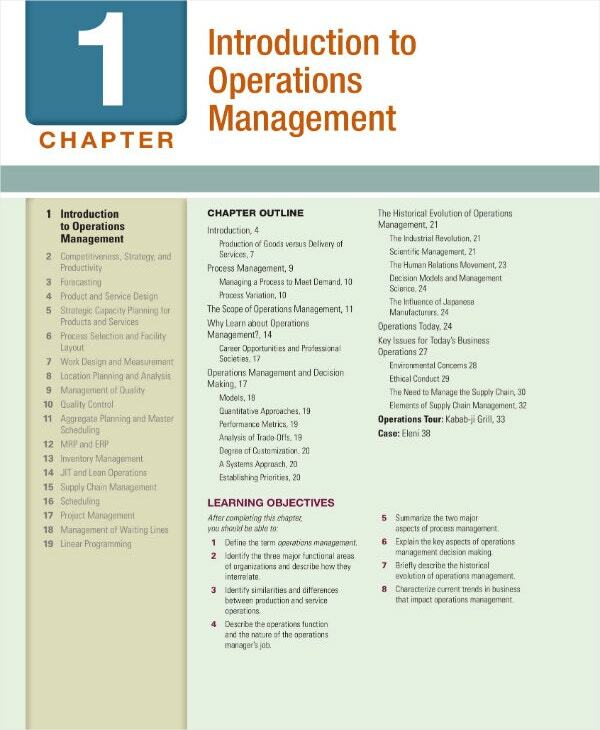 And that’s why this article is going to teach you how to create an operations management plan. The point of having this type of plan is so that it’s able to outline everything from what kind of goal setting need to be achieved, what needs to be delivered in order to achieve them, the expectations that need to be met and so on. If you are able to provide people with enough information that can help them understand what they need to do and how they need to do it, then you can expect your business to be able to attain the success it deserves. As you’re coming up with your plan, the first step is for you to identify what your business’s goals are. That way, you can easily come up with the different things that needs to happen in order for those goals to be achieved. Also, making a list of these goals and placing them in the plan will give everyone a sense of direction as they’re working along. You can also like business plan keynote templates. What is it that your company is supposed to do? – This is definitely the first question that you’ll need to answer as you want to know what your company has to do in order to reach success. Knowing this will give you an ideas as to what kind of goals and expectations are going to have to be met. You can also check test plan templates. What’s working an not working in the company at the moment? – Once you know what your business is supposed to do, then the next step is to take a look at the different things that are currently happening in your business. 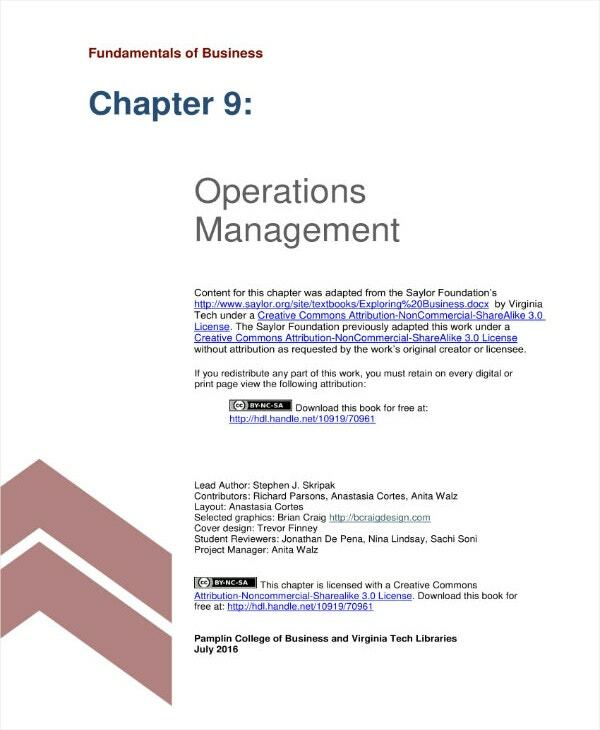 See what operations are being done in order to meet certain goals and take on challenges and understand if they’re being done right or if they’re even the things that need to be done. You may also see risk management plans. Is there a problem that needs to be solved? – Sometimes you can define one of your business’s goals as a particular problem that has to be solved. So if there’s anything in wrong in your business that you know you have to fix, then consider that as one of the goals that needs to be taken care of sooner rather than later. When you’re done finalizing what your goals are supposed to be, then the next step is to make sure that they’re specific and easy to understand. You’ll be placing them in the plan proposal for everyone that’s involved in the business to read so ensure that readers will know exactly what needs to happen so that the business can achieve success. When you’re done writing about all of the different goals that should be written into the plan, the next step is coming up with the different things that needs to happen in order for them to be achieved. This is where you will be talking about all of the tasks that need to be completed as well as when they have to be completed.You can also see project management plan templates. So what you’re going to have to do first is create a word list of all the different roles that need to be kept an eye on. The roles that have a significant impact in meeting your business’s goals will need to be focused on. So create a list of each and every single one of them and place them into the plan. Once you’re done with that, the next step is to list down all of the different duties and responsibilities that need to be carried out. It’s important that you know exactly what each role should be doing as the information will tell you whether certain employees are doing what needs to be done, or if they aren’t exactly doing what they’re supposed to so that your business can reach success. 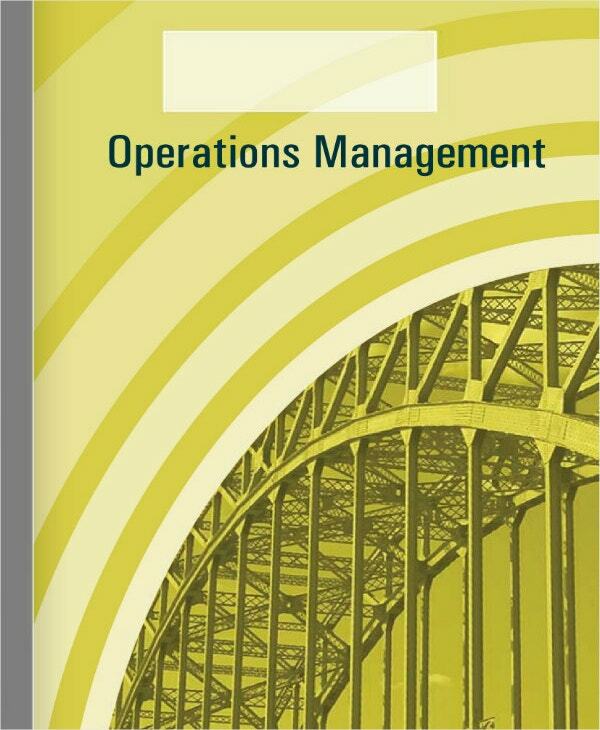 You can also check change management plan templates. Then you must share the expectations that these roles will be able to meet. That way, you can basically remind them as to what it is that they should be doing and how they should be doing to ensure that they’re able to help the business reach the success it deserves. Also, pointing out these expectations is the only way to ensure that these people know exactly how they should be working. 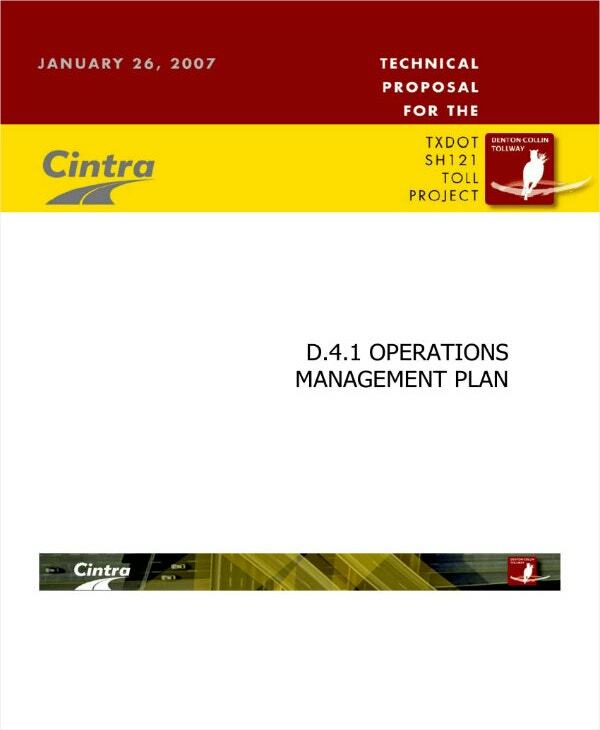 You may also see project management plan templates. When you have it all figured out, then you’ll need to find a way to keep track of everything. This means that you’ll need to look into how management plan is being handled when it comes to reaching towards the business’s goals. It will allow you to determine if things are fine the way they are, or if you have to intervene and come up with changes which ensures your goals are met in a timely manner. So think of all the different tools or methods that will allow you to be kept up-to-date when it comes to knowing about the progress of each and every single goal. Make sure that each goal is able to be completed in the specific time period that they’re supposed to be met and that you point out exactly when these specific goals have to be reached. 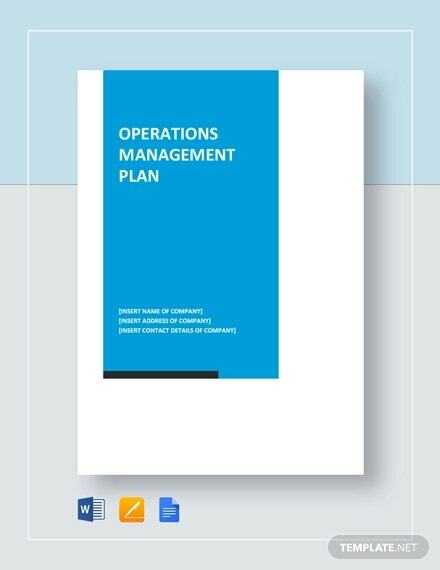 The more information you are able to share in this section of the management operation plan, the better it will be for you. Also, doing this is one of the best things that will keep everyone on track so be sure that they’re able to go through this section easily by explaining everything clearly. Once you’re done figuring out what needs to be achieved and what has to be done in order to achieve them, then you should be finally ready to share the plan with the people that will be helping you. It’s important that they know what it contains as it will tell them exactly what they have to do and what has to happen if they want to help you make the business successful. 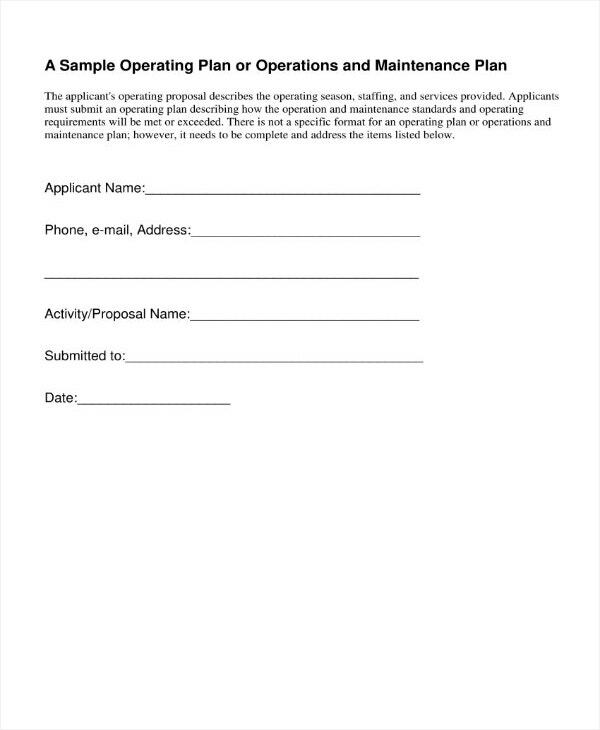 You may also like event operation plan templates. It’s especially important that you and your team are able to discuss the last point. No matter how much you think that things are going smoothly, there’s always that chance where something could go wrong. This means that you’ll need to be ready in the event that a problem does suddenly come up that you’ll have to deal with. So you’re going to have to think about the different possible issues that could occur which can prevent your small business plans from reaching its goals. Make a list as to what they may be. Once you’ve written them all down, you and your team must discuss the means by which all of you can avoid or prevent them from happening. The more information you’re able to acquire, the better it will be. Just make sure that everyone knows what’s supposed to happen so that these issues won’t become a threat to your business. You may also see asset management plan templates. Once you’re done discussing everything, the last step is to simply finalize your plan. Use all of the different feedback that you were able to obtain from your team to see if there should be any changes that need to be made. So make sure that you finalize everything from what has to be achieved, what needs to be done, who needs to do what, and what kind of problems need to be looked out for and prevented. Make sure that you everyone can adapt to any changes that you might make to the plan if ever the time comes when it’s necessary. You can also like project plan templates. If you would like to learn about the other types of plans that you could possibly make, then all you have to do is to go through our site. It contains many different articles that should be able to provide you with the help that you need. The only thing that you need to do is to read them thoroughly so that you can make the most out of whatever information they happen to offer. You may also see project management templates.